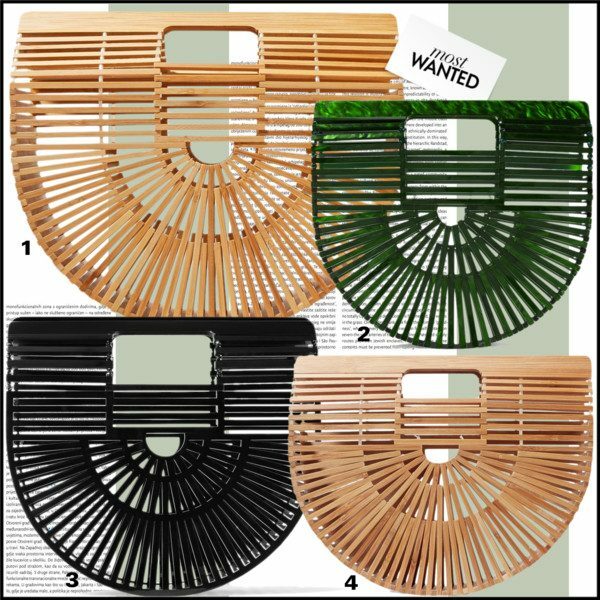 You are currently browsing the archives for the tag 'Ark small bamboo clutch in black'. 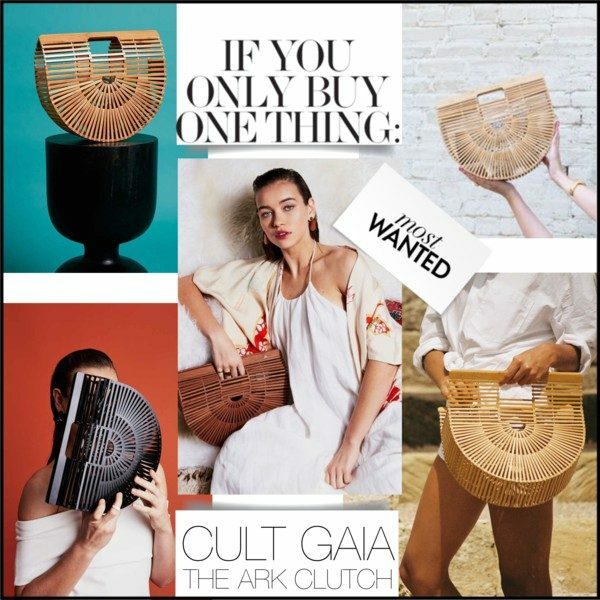 2017 has become the year of the basket tote with the rise of Los Angeles-based label Cult Gaia’s structural bamboo bag from pretty cool to Instagram-famous within weeks. The so-called ‘Ark’ clutch is a crescent-shaped bamboo clutch that feels offbeat yet timeless. Designer Jasmin Larian draws inspiration from vintage pieces and is committed to sustainable practices. 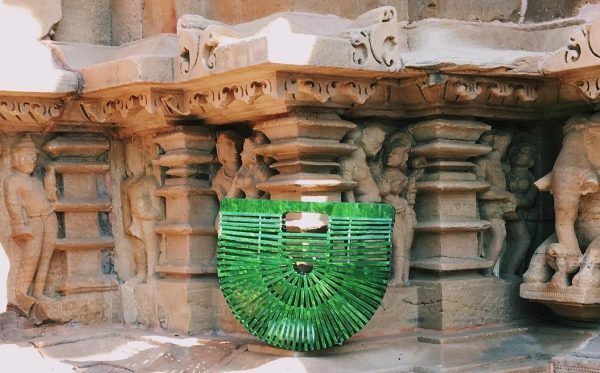 Don’t miss the laser-cut acrylic version of the carryall in vibrant hues. I thought to let you know there are many fabulous variations of the Cult Gaia bag. It might be not the most practical bag, but it is still the hottest accessory of the moment and extremely affordable. The Ark clutch is here to stay for the next season and will be launched in many colors. You can pre-order this small multi acrylic Ark clutch for Resort 2018 here.